As more and more enterprises move from functional to process-based IT infrastructure, ERP system becomes one of today’s most widely used IT solutions in many large enterprises. In spite of the widely used IT solutions, many ERP implementations are not successful. It takes longer time and costs more money than expected. Given the large investment that an ERP project requires and the potential benefits it can offer if successfully implemented, it is important to understand what is needed to ensure a successful ERP Implementation. In this paper, we try to explore the critical success factors (CSFs) for the implementation of an ERP system both from the management perspective and technology perspective. 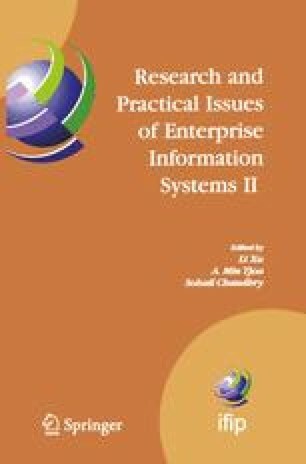 Based on the lessons learnt from the previous literature and case studies, we propose a conceptual framework for successful implementation of an ERP system. This framework summarizes the CSFs that need to be addressed during a whole process of ERP implementation, i.e. : pre implementation phase, implementation phase and post-implementation phase. Limitations and future research directions are concluded in the end.